Box Works 2018: IBM Watson will power Box Skills Kit for those big data needs. Box and IBM have announced they will be teaming up to bring the power of Watson AI to more businesses. 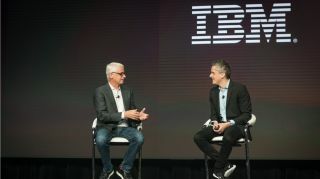 Speaking at the Box Works 2018 event in San Francisco, Box CEO Aaron Levie was joined on stage by IBM’s David Kenny, who noted that AI is becoming an increasingly vital workplace tool. When quizzed on the current state of AI development, Kenny noted that the sooner companies start using the technology, the better, with those organisations that have got on board early already seeing a notable competitive advantage. However he added that AI is a constantly growing and evolving technology, and this time next year may have advanced beyond even IBM’s expectations. Kenny had joined Levie at Box Works to reveal that Watson will be delivering the first ever custom skills built using the Box Skills Kit. The two new offerings are Custom image insights with Watson Visual Recognition, which is able to quickly analyse image data to make it easy to search. This is already being used in US legal support, where the service could be used to quickly analyse audio and video files used in a legal deposition to find important data. Also launching is Custom document insights with Watson Natural Language Understanding, which automatically tags documents stored in Box to help users quickly find what they need in the likes of research papers, service manuals and legal documents. This skill is helping customers of two Canadian banks to pull data from different loan or banking forms quickly and easily for new applicants. “It's made work more interesting as the work can be done by Box Customer Skills, and people can do more thinking,” Kenny noted.